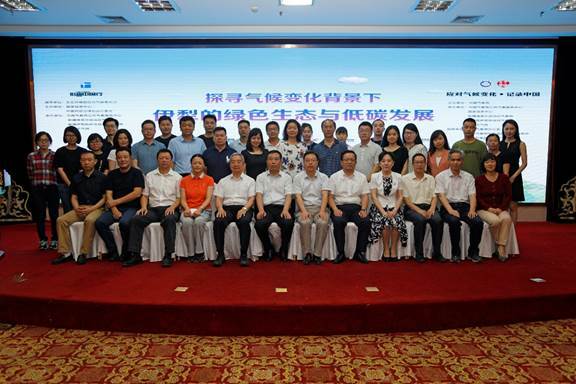 On July 2, 2018, the ‘2018 Low-Carbon China Action in Ili, Xinjiang Uygur Autonomous Region’ activity kicked off in Yining City. The State Information Center (SIC) and the China Association for NGO Cooperation (CANGO) Green Commuting Fund hosted the event under the guidance of Department of Climate Change from Ministry of Ecology and Environment, and worked with the Public Meteorological Service Center of the China Meteorological Administration, the Meteorological Administration of Xinjiang Uygur Autonomous Region, the Meteorological Administration of Ili Kazak Autonomous Prefecture in Xinjiang, and the Weather China. It includes collecting cases of low-carbon practices, hosting seminars on low-carbon development, conducting field studies and investigations in the city, industry parks and companies, and filming the low-carbon development. Representatives from the SIC, the CMA, the Chinese Academy of Microeconomic Research, the Meteorological Administration of Xinjiang Uygur Autonomous Region, the Xinjiang Ili Kazak Autonomous Prefecture Government took part in the activity. At the opening ceremony, the Vice President of the SIC, Zhang Xueying, delivered a speech. He noted that: at present, as the country is embarking on a journey to fully build a modern socialist China, the eco-civilization building is in the ascendant, especially given the current severity of smog and climate change. These problems impel us to transform the economic growth pattern and adopt a low-carbon way of production and of life. Hence, it is the high time for green and low-carbon development. For the first time, the ‘2018 Low-Carbon China Action came to the western China, and to Ili, Xinjiang Uygur Autonomous Region. It is a continuation and extension of the Low-Carbon China Action series. This movement seeks local samples for the construction of beautiful China as well as provides support for the promotion and publicity of the local experiences and practice of low-carbon development. The SIC and the CMA jointly launched the ’China Weather, Low-Carbon Economy: Co-build a Beautiful China’ initiative at the ceremony, called for every individual to take the responsibility as a constructor, recorder, and contributor of the ’Beautiful China’. Xiao Xiuli, Director of the Comprehensive Management Department, stressed that under the background of embarking on a journey to fully build a modernist socialist China, the ’Low-Carbon China Action‘ will focus on two aspects: firstly, it will promote the low-carbon development in light of overall national economy and social development; secondly, it will set up a low-carbon development and cooperation mechanism, in which the government takes the lead, departments cooperate and the society participates. We will follow Xi Jinping’s eco-civilization guidance in the new era, to act as the promoter and practitioner of low-carbon development and eco-civilization. We should adhere to the conviction that lucid waters and lush mountains are invaluable assets and contribute to the great endeavor of building a beautiful China. 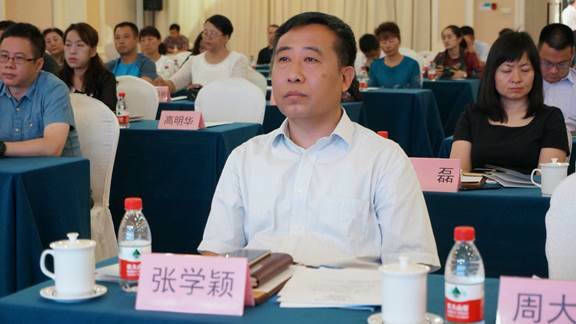 The former Director and also researcher of the Institute of Energy Research under Chinese Academy of Macroeconomic Research of the NDRC, Zhou Dadi, and the Chief Expert of the CMA Public Meteorological Service Center, Song Yingjie, delivered keynote speeches respectively on Accelerate the Switch to Green & Low-Carbon Mode to Answer Climate Change, and Ili in Pictures. At the following seminar, experts from the SIC, Chinese Academy of Macroeconomic Research, Xinjiang University of Finance &Economics, the Meteorological Administration of Ili Kazak Autonomous Prefecture held discussions on “Green, Ecological and Low-Carbon Development”. This event helps promote the low-carbon concept, improve the understanding of low-carbon development of the local governments and the public, and exerts positive influence on the implementation of the plans that tackle climate change.